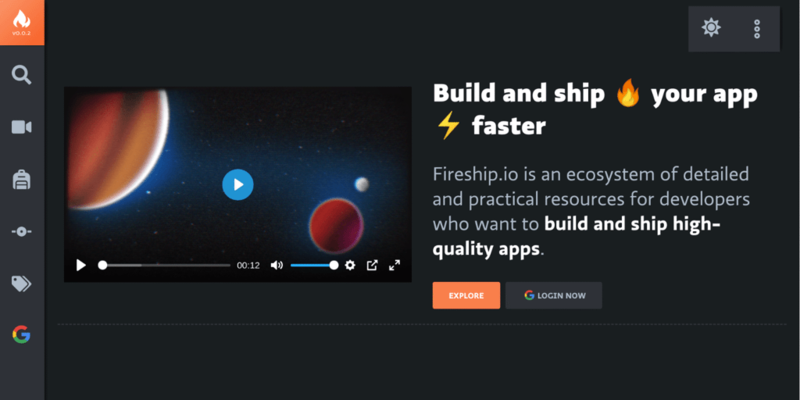 Fireship.io is an ecosystem of detailed and practical resources for developers who want to build and ship high-quality apps. Feature-rich. Our site has a long list of specialized needs and Hugo somehow manages to cover every single use case. Composability. Hugo’s partial and shortcode systems empower us to write DRY and maintainable templates. Simplicity. Hugo is easy to learn (even without Go experience) and doesn’t burden us with brittle dependencies. The site is able to achieve Lighthouse performance scores of 95+, despite the fact that it is a fully interactive PWA that ships Angular and Firebase in the JS bundle. This is made possible by (1) prerendering content with Hugo and (2) lazily embedding native web components directly in the HTML and markdown. We provide a detailed explanation of the architecture on YouTube and can’t imagine development without Hugo.